To get a comprehensive view of your overall dental health, the team at The Diablo Dental Group in Danville, California, offers the convenience of in-office digital dental X-rays. This technology produces the highest-quality images of your teeth, gums, and jaw, ensuring the dental team has the information necessary to evaluate your oral health. Schedule a digital X-ray evaluation today by calling the office or booking an appointment online. Digital technology creates high-quality pictures of your teeth and gums instantly, ensuring your dentist has the information needed to assess your oral health. Based on the results of your X-rays, your dentist creates a custom treatment plan to protect your teeth and gums. The Diablo Dental Group staff recommends routine dental X-rays once a year. They may require additional X-rays to monitor an existing condition or to identify the cause of unexplained dental pain. If you suffer an injury to your teeth or have pain, you may need to schedule a separate visit for X-rays and an examination. If it’s your first visit to the practice, The Diablo Dental Group will likely take X-rays to evaluate your dental needs. During your X-ray, you relax in an exam chair. The X-ray process is painless, although you may feel some discomfort as you remain motionless while the necessary images are taken. The dental team places a mouthpiece between your teeth, and you need to hold steady as the technology captures the X-ray images. Depending on the reason for X-rays, multiple images may be needed. Are digital dental X-rays safe? 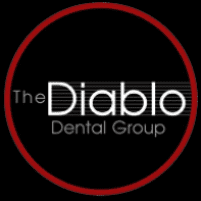 Digital dental X-rays are safe, and The Diablo Dental Group staff ensures you’re comfortable and well-protected during the procedure. X-rays produce low levels of radiation and digital technology uses even fewer amounts than traditional X-rays. If you can’t tolerate X-rays due to underlying health conditions or a pregnancy, the dental team can recommend alternative options for dental evaluations. The Diablo Dental Group recommends yearly X-rays to maintain stellar oral health. Find out more about the benefits of digital dental X-rays by calling the office or using the convenient online booking feature today.